It’s never too soon to Grow Your Own! Did you know that National Children’s Gardening Week starts today! 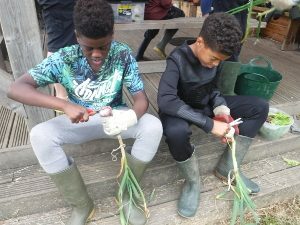 Grow to School is a charity that helps schools deliver outdoor learning and food growing projects. We heard from Managing Director, Ama Chaney, about how they are sowing the seeds for a generation of food enthusiasts. 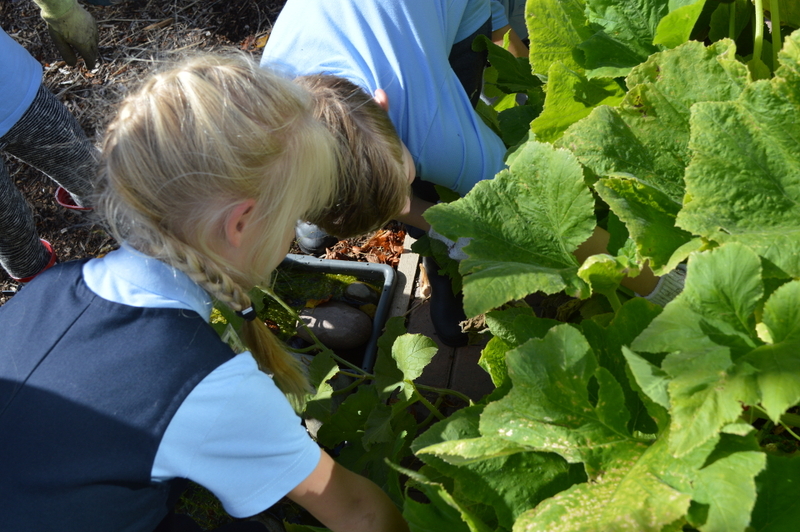 Grow to School work in primary schools delivering outdoor learning and food growing projects. We often ask the children what their favourite vegetable or fruit is to eat and carrots, apples, cucumber and peas usually come out tops. When I ask if anyone likes garlic I often get a quizzical look. When I ask who likes garlic bread, I usually get a full complement of hands! It sometimes takes time for children to make that connection between the vegetables and fruit they eat and the plants they see growing in the ground. Food doesn’t start its life on a supermarket shelf believe it or not! The stakes are often higher if they’ve sown the bean seed themselves and taken care of it while it grows. 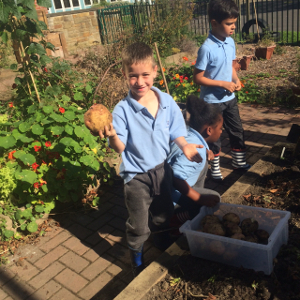 When their pumpkins are ready to harvest in October, and when the children dig over the soil to discover even more potatoes, they often want to keep going to discover more. And as for worms? Children can’t get enough of ‘em! One way of children discovering where vegetables come from and why we eat them is through stories – bedtime, daytime, anytime…in a book, on a screen. The stories they read or are read to them, give them knowledge about the world, however fantastical. Jack and the Beanstalk is the obvious one, a fairy story known by every child and adult, I’m sure. Now if Jack ever wants to grow beans again – using a more conventional method – he might welcome your advice! Bean seeds come in all shapes, colours and sizes – runner beans, broad beans and French beans – and within these categories there are hundreds of different varieties – Borlotti, Scarlett Emperor, Lady Di, Purple Cascade, Aquadulce Claudia – the list goes on. Growing a few different varieties might be an activity you could do at home with your child. Sow a few beans in a pot of compost, water them and watch the bean plants grow. Which one grows the biggest? Which bean is the tastiest? The longest? The shortest? Which bean is going to need support as it grows? Which one would you recommend for Jack to grow? Looking beyond the story is often a technique we use when we are working outside and we regularly use stories and songs to inspire an activity, and more often than not we will ask the children to come up with their own. “How did Jack’s bean start to grow?” we will often ask. “The shoot goes up and the root goes down”. Add some actions to accompany this phrase and you’ve created a fun learning activity that the children will never forget. Nurturing children involves providing the love and care they need as they grow, and what better way to help develop a young mind than to support them to nurture and care for the plants around them. Get children interested in where vegetables come from, and how they grow, and maybe they’ll eat more of them – you never know! If you want to let your children get their hands mucky with a seed planting activity at this year’s festival, visit the Winter Garden on Monday 28th May for some Family Fun.